Excellent creatine stack, which includes up to 7 types of creatine! Bet on the quality and effectiveness! It supports the growth of fat-free muscle mass. 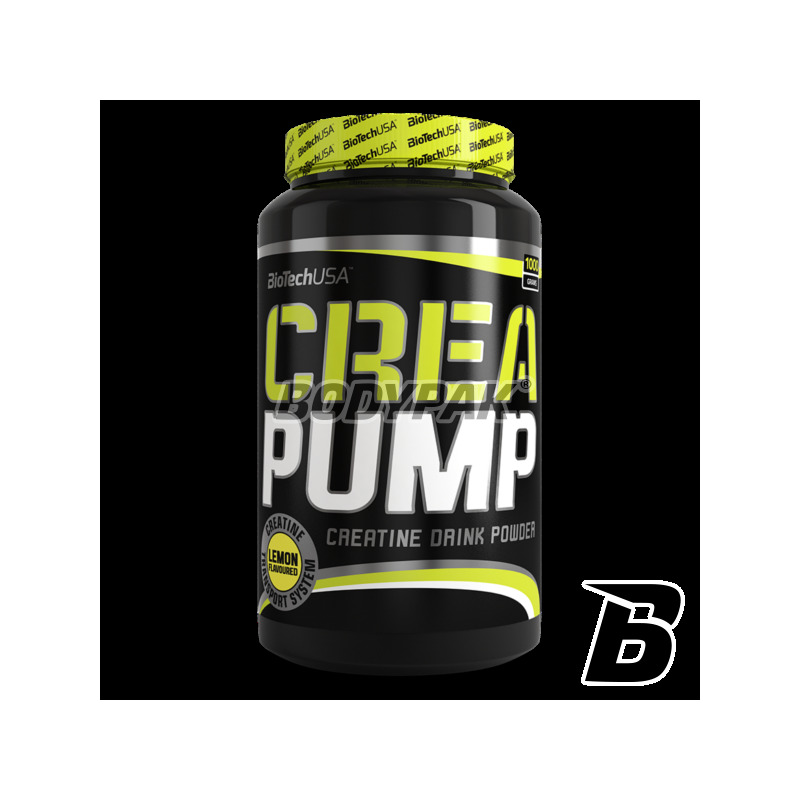 Developed on a multi-interval basis, Crea PUMP releases 7 types of creatine (including its buffered and micronized forms) on consumption. Creatine increases physical performance in successive bursts of short-term, high intensity exercise. The beneficial effect is obtained with a daily intake of 3 g of creatine. 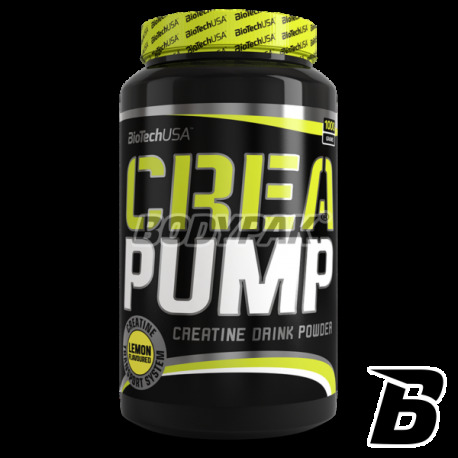 Like all BioTechUSA products, Crea PUMP consists of safe, carefully selected nutrients. Ingredients: CarboXTM (dextrose, maltodextrin, fructose, ribose, Palatnoza) CreaRage 7TM (creatine monohydrate, creatine malate, creatine AKG, creatine phosphate, creatine ethyl ester, creatine buffered micronized creatine) aRecoverTM (L-leucine, L araginina, L-glutamine, L-valine, L-isoleucine), vitamin C (L-ascorbic acid), tricalcium phosphate, magnesium phosphate, BBE TM Factor (chromium, alpha-lipoic acid), sweeteners (aspartame, acesulfame K, aroma. Bardzo złożony produkt, martwiłem się trochę czy to nie przesada.. ale jest zajefajnie.. nie tylko masa i siła na plus! Odkąd stosuje tą kreatyne progress siłowy zanotowałem bardzo pozytywny. Masa tak samo poszła do góry. Dodatkowo fajnie pompuje na treningu - świetne połączenie!